This fall, the change of season brings an amazing new collection of 5 wigs from Jon Renau. Inspired by colorful fall days filled with cool, crisp air, these new wig styles embrace long fresh layers, loosely tousled waves, and short razored pixie styles. Each wig is made with comfortable synthetic fiber, which is great for low-maintenance styling and long-lasting wearability. With airy open cap constructions, hand-tied mono top crowns, and invisible SmartLace hairlines, these wigs offer styling flexibility combined with a natural look and feel. SMARTLACE FRONT (WELDED LACE) Mimics a natural hairline, hair is hand tied one by one. OPEN WEFTED TOP AND BACK Allows superior ventilation for maximum scalp cooling with machine wefting. VELVET EAR TABS AND NAPE Allows smooth customization with bendable wire. ADJUSTABLE TABS Allows the wearer to adjust the circumference. 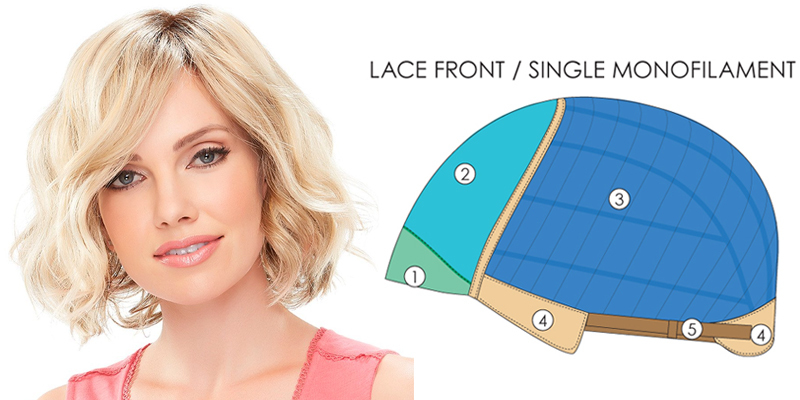 SMARTLACE (WELDED LACE FRONT) Mimics a natural hairline, hair is hand tied one by one. SINGLE MONOFILAMENT Allows multi-directional parting while providing the appearance of natural growth. OPEN WEFTED BACK Allows superior ventilation for maximum scalp cooling with machine wefting. POLYURETHANE STRIP For use with adhesive if needed. 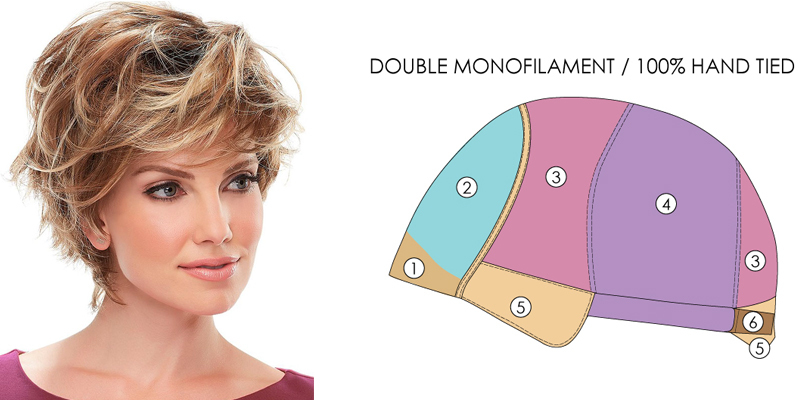 DOUBLE MONOFILAMENT Allows multi-directional parting while providing the appearance of natural growth. 100% HAND TIED CAP Each hair is individually hand tied, creating the appearance of natural growth. 100% HAND TIED STRETCH SECTION Allows customized stretch from front to back and ear to ear. Shop the entire Jon Renau Fall 2017 Collection.